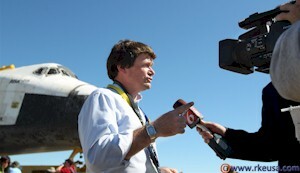 Recent and Upcoming Media Interviews, Articles, Speeches and activities by Coalition Director Art Harman, promoting a better future for our space program. Listen, learn and share the podcasts. Radio, TV, newspaper and web media outlets are invited to book Mr. Harman for an interesting and informative interview. Organizations, schools and organizers of conferences and special events are invited to book Mr. Harman for inspiring speeches on space topics. Contact: info@savemannedspace.com -- More Info and Bio. Upcoming: August, 2018 -- Four speeches scheduled at the Mars Society's international convention in Pasadena, CA on space policy issues. February 12 KPNW, Eugene, OR "Wake Up Call" show at 9:30 AM PT: Interview about the SpaceX Falcon Heavy launch and America's future in space. November 2017 Speech to 140 political leaders in Washington, D.C. in support of the Hon. Bridenstine's nomination as NASA Administrator. 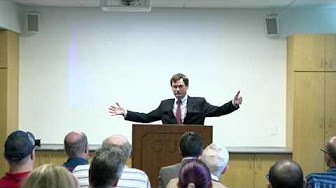 September 2017 Speech advocating privatizing the International Space Station in 2024, rather than destroying it, at the Mars Society's International Convention. September 7-10, 2017 Several speeches to be delivered at the Mars Society's International Convention in Irvine, CA. Topics include Moon Before Mars, Privatizing ISS after 2024, Mars Flyby, and President Trump's Space Policies. July 21 with Rob Schilling on WINA radio, Charlottesville, VA. America's space program, from Apollo to the future, including Russian and Chinese goals in space. July 21 WNJC radio in Philly with Rick Trader, on the anniversary of the Apollo 11 landing and America's space program, past, present and future. July 20 WCLO Madison, WI with Tim Bremel on "Your Talk Show." All about America's historic moon landing! February 23 WNJC Philly with Nasser and Rick Trader on the new opportunities for NASA and commercial space in the Trump Administration. February 2017 Coalition Director Art Harman participated in the Space Exploration Alliance's "Legislative Blitz," where many supporters from space advocacy organizations visited hundreds of Congressional staff and Members in favor of a stronger space program. November 14, 2016 WNJC Radio, Philadelphia and NJ Suburbs Co-hosting show with Rick Trader interviewing actor Ben Carson about his National Geographic series, "Mars." Listen live at 3:35 PM EST. Podcast available later. November 2 WNJC Radio, Philadelphia and NJ Suburbs 4:05 PM EDT. Comparing Trump's and Clinton's NASA and space policies. November 1, 2016 Coalition Director Art Harman's op-ed published in The Washington Times regarding NASA and commercial space policies of Donald Trump and Hillary Clinton. 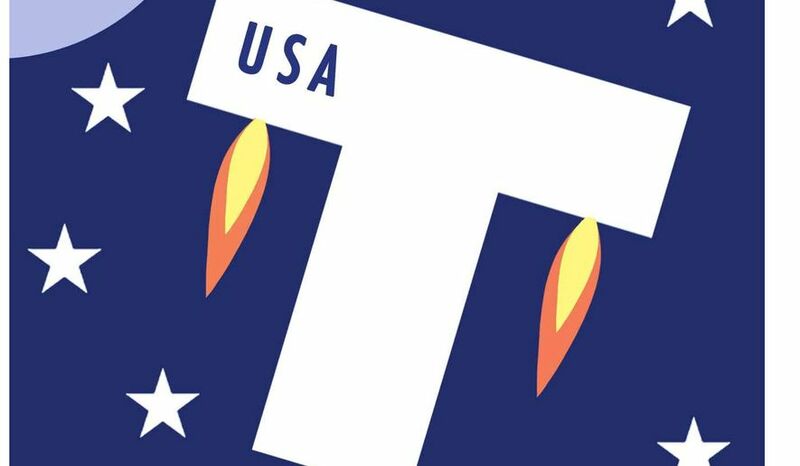 What can we expect in space policy from Hillary Clinton and Donald Trump? Find out with this lecture at the Mars Society's International Convention in September, 2016. Many think we've "been there, done that" with the Moon, and have all the expertise needed to just go to Mars. Mr. Harman explains the essential lessons the Moon can teach us in the 2020s to make Mars missions safer in the 2030s. The next administration will have the opportunity to re-shape and revitalize our space program. One key element would be to cancel the fake asteroid mission in favor of the 2021 Mars-Venus flyby, which would take two astronauts on an 800-million mile voyage of exploration in our solar system in just under 700 days. If China would like us to believe they will not claim the Moon as theirs--or orbital space--or Mars, they are setting a poor example in the South China Sea. Find out more! Taking the debate position that the asteroid mission is a terrible waste of billions of dollars and a decade, he makes the case for better missions that really will get Americans to Mars in a generation. July, 2016 Coalition Director Art Harman's definitive research paper on how the Obama Administration diverted funding from manned space exploration to climate change. December 23, 2015 at 3:35 PM ET on WNJC covering Philly and S. New Jersey on "Star Wars for Real: Is NASA on track to get us to the Stars? 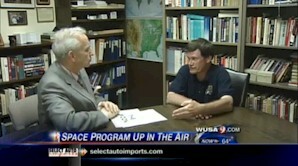 Rick Trader on the Conservative Commandos Show is a great supporter of the space program. December 18, 2015 in the Washington Examiner. Director Art Harman's article reviewing the major NASA budget increase in the FY 2016 Federal budget. August 2015 Art Harman on the Mars-Venus Flyby. 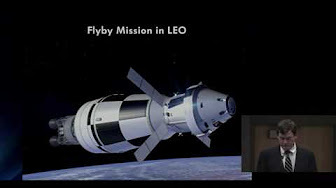 Speaking in support of Dennis Tito's Mars flyby proposal, Art Harman made the case for the flyby which would revitalize our space program and serve as the vital "Apollo 8" for human Mars missions. August 2015 Art Harman on NASA's Asteroid Mission. Why is the administration's "Asteroid Redirect Mission" the wrong thing to do--a decade-long waste of time, and a decade's head start for China and other countries to leapfrog the U.S. in space commerce and exploration. 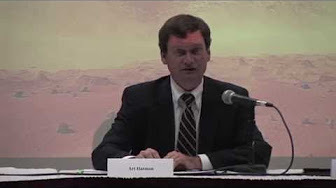 August 2015 Art Harman on Political Advocacy for Space Exploration. How can citizens support a better space program? How to get through to Congress and make the case for a real path to the Moon and Mars? Mr. Harman briefs you from his experience working inside Congress as Legislative Director and space advisor, and from his experience in grassroots politics. Reporting on current space policy, missions and breaking space news. 2014 National Space Society's International Space Development Conference, May, 2014, Los Angeles, CA. Speech and panel discussion on the political realities and advocacy for space exploration, as well as an overview of China's space program. WMAL and WRQX (MIX 107.3) radio in the Washington, DC area with legendary broadcaster Tom Grooms on the public affairs program, Spectrum; discussing past, current and future in space policy and missions. 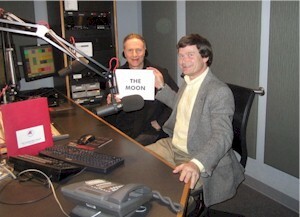 January 1, 2013 at 7:35 AM with Bruce Edmunds on WINA Radio in Charlottesville, VA to discuss 2012 NASA the anniversaries of both Apollo 17 and Apollo 8; as well as why we need to have a strong manned space program. Listen to the show. December 21 at 1:15 PM with Rob Schilling on WINA Radio in Charlottesville, VA to discuss the anniversaries of both Apollo 17 and Apollo 8; as well as why we need to have a strong manned space program. Listen to the show -- this interview is the second segment, about 10 minutes in. October 28 on 5 CBS Radio stations in the Tampa Bay Florida area with Beecher Martin on the "In Touch With Tampa Bay" show; to discuss the recent Space X launch to the space station, and an update about Curiosity on Mars. Tune in: WLLD 94.1 FM 10/27 6:15 AM, WRBQ (Q105) 104.7 FM 7:15 AM, WQYK 99.5 FM 11:45 PM, WHFS (The Fan) 98.7 FM 6:45 AM, and WHFS 1010 AM 6:45 AM. September 12 on WPIC Radio 790 AM at 5:07 PM ET, Mercer County, PA to discuss the 50th anniversary of President Kennedy's famous "go to the moon in this decade" speech at Rice University, and the future of the space program. Listen live at www.790wpic.com/. August 7 at 6:30 AM ET with Steve Gruber and Jo Anne Paul on Michigan's Morning Show; covering 9 stations in Michigan including WJIM Lansing 1240 AM. Topic of discussion is the landing of our new Mars rover, Curiosity. www.michigantalknetwork.com/ Listen: Michigan's Morning Show Art Harman.mp3. July 23 at 4:30 PM on WNJC and WIFI AM in Philadelphia and New Jersey on the Conservative Commando Show to discuss the 43rd anniversary of the Apollo 11 moon landing and the future of the space program. conservativecommandosradioshow.com Podcast soon. July 22 on WMAL and WRQX (MIX 107.3) radio in the Washington, DC area with legendary broadcaster Tom Grooms on the public affairs program, Spectrum; where we will discuss the anniversary of the final space shuttle mission and the future of the space program. www.mix1073fm.com/Article.asp?id=2308571 Podcast available soon. July 22 Interview with veteran space reporter Alan McBride on 65 stations affiliated with Florida News Network, to discuss the June 16 launch of China's first woman in space, their mini-space station, and how China may take the lead in space and high technology unless the US takes action to remain the leader. A podcast may be available after the show. Excerpts from the interview will also be featured in a print news story available to many Florida newspapers. July 20 at 12:55 AM ET on the nationwide John Batchelor Show analyzing China's accelerating space program and the first details of China's moon rocket, now under development; as well as Gov. Romney's space policy. Listen to the show. 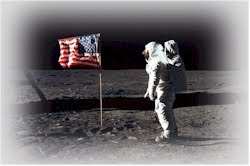 July 20 on the G. Gordon Liddy Show at 12:30 ET commemorating the 43rd anniversary of the Apollo 11 landing on the moon. www.liddyshow.com - Listen to Art Harman on the G. Gordon Liddy show. 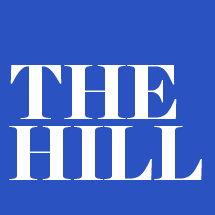 July 20 in the Washington Examiner. Art Harman's article commemorating the 43rd anniversary of the landing of Apollo 11: www.examiner.com/.../apollo-11-moon-landing-anniversary-what-were-you-doing-then? July 20 at 8:10 AM ET with Chris Oaks on the "Good Mornings!" show on WFIN Radio in northwest Ohio, to discuss the 43rd anniversary of the Apollo 11 lunar landing and the future US space policy. Listen to the show - www.wfin.com. July 12 from 1:30-2:00 PM with Rob Schilling on WINA Radio in Charlottesville, VA to discuss the first anniversary of the final space shuttle mission and US space policy. Listen to the podcast: http://www.wina.com/...Episode&audioId=5936946 That link is for the entire hour, the interview is the second half into the hour. June 15 at 8:40 AM EDT on WTKS News Radio, Savannah, GA to discuss the June 16 launch of China's first woman in space, their mini-space station, and how China may take the lead in space and high technology unless the US takes action to remain the leader. www.newsradio1290wtks.com A podcast may be available after the show. June 10 Interview with veteran space reporter Alan McBride on 65 radio stations affiliated with Florida News Network, regarding the successful Space X mission to ISS. 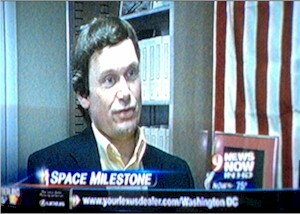 May 25 on Washington DC's WUSA-TV Channel 9 on the 11:00 PM news; interview regarding Space X's Dragon capsule historic docking with the International Space Station. January 31 at 8:10 AM ET on the "Good Mornings" show on WFIN radio in central Ohio to discuss the space program and the ideas of the presidential candidates. www.wfin.com/morning. Listen now! January 30 at 12:50 AM on the nationwide John Batchelor Show to analyze Newt Gingrich's speech calling for a bold new space program. Listen now. January 27 on 65 stations affiliated with Florida News Network. 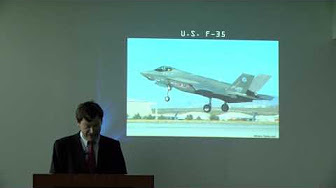 40 second report regarding Newt Gingrich's space policy speech. Stations Also was featured in a print news story in Florida. November 1 at 1:15 ET with Jim Lynch on WUSB Radio 90.1 FM to discuss the space program and other issues relating to what made America a truly great nation. Coverage: Long Island, Southern Connecticut, parts of NYC (Brooklyn and Queens), and Westchester County. www.WUSB.fm/ Podcast may be available soon. October 5 on the nationwide John Batchelor Show regarding the Space Launch System (SLS), Neil Armstrong and Gene Cernan's call for a real vision and plan for manned space, and Lockheed Martin's vision for exciting space missions in this decade. Listen to the show. September 1 at 12:55 AM on the nationwide John Batchelor Show regarding the dangers of evacuating crew from the International Space Station and the the solutions which Mr. Harman proposed to NASA, which they are evaluating. Listen to the podcast. Podcast: issuesandideasradio.com/audio.html - Interview is about 2/3 down the page. July 8 on KXYL-FM Radio, Brownsville, TX at 8:10 AM on The Big Show, live from the space shuttle launch site. July 7 at 1:30 PM on CFAX, Victoria, British Columbia, Canada on Straight Talk with Dave Dickson. July 7 11:00 AM on the Mike Pomp Show on WTSN Radio, Dover, NH. May 29 WQYK and 5 other CBS Radio stations in the Tampa Bay area with Beecher Martin on the "In Touch With Tampa Bay" show. Listen to the interview. May 25, 2011 on the nationwide John Batchelor Show regarding the 50th anniversary of President Kennedy's historic challenge to go to the moon "in this decade." To the Moon in 2024!